Miami-Dade nonprofit finalist Code Art took home the grand innovator prize from the Inspire305 grant competition, sponsored by United Way of Miami-Dade on Thursday, June 21, 2018. 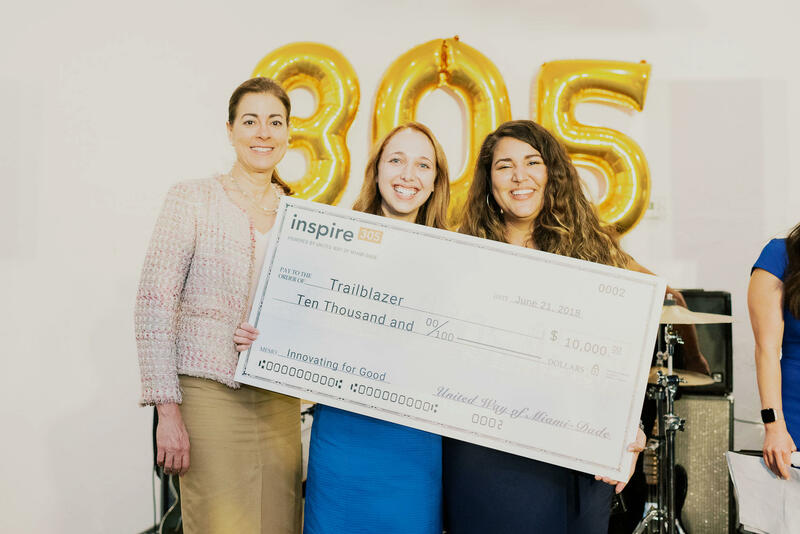 Miami-Dade nonprofit finalist Mind and Melody took home the trailblazer prize from the Inspire305 grant competition, sponsored by United Way of Miami-Dade on Thursday, June 21, 2018. After a month of online voting for the United Way of Miami-Dade's first Inspire305 grant competition, two local nonprofits won a combined $35,000 Thursday night to jumpstart learning opportunities for communities of color and bring music to ailing or aging Miami residents. And, in a last-minute twist, at the ceremony for the announcement a donor decided to add $5,000 to each of the prizes. The $25,000 Gran Innovator Award went to Code Art, a local nonprofit using workshops and afterschool programs to increase gender and racial diversity in computer sciences. The Trailblazer prize of $10,000 was awarded to Mind and Melody, a network that places music programs at healthcare facilities, nursing homes, day centers and assisted living facilities. 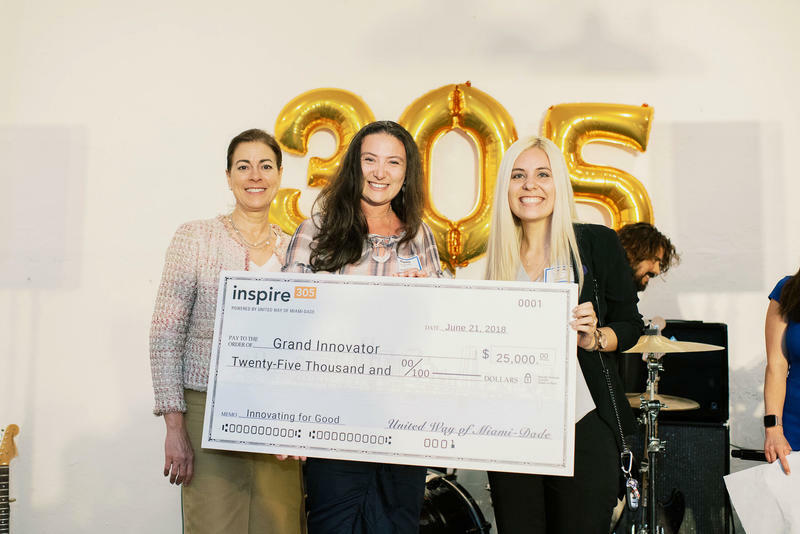 Last March, United Way of Miami-Dade launched Inspire305 to give community organizers the chance to compete for prize money to help budding nonprofits grow. The contest was open to organizations five years old or less, registered as a 501(c)3 and with a formal written purpose or mission to improve the lives of Miami-Dade County residents. United Way Manager Gretta Martinez said the response was overwhelming - her office had to narrow 50 applications down to seven finalists. Then the public part of the contest began: the community was invited to vote online for their favorite organization. Individuals could vote once a day on the inspire305 website from May 20, 2018, to 11:59 p.m. on June 20, 2018. After the nonprofits spoke for only two minutes each at the award ceremony, celebrated at Canvas Miami, Martinez said someone in the crowd decided to make a hefty last-minute donation.